Home/Generic/Business/Fix the issue of fake reviews – Few worthy suggestions for dear Google! 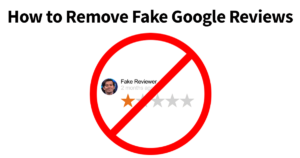 If Google is aware of the buzz that is being created by fake reviews, they should also know that the problem is gradually getting worse day by day leading to a reason of concern for most small business owners. Instead of outlining the problems which are playing the role of a catalyst in turning them into a popular rant, columnist and local search engine expert, Joy Hawkins offers few suggestions for Google. According to him unless and until Google My Business gets really serious on addressing fake reviews, it is definitely going to suffer from loss of credibility. Here are few worthy suggestions for Google. Presently, there are too many ways of contacting Google My Business support, either through phone, email, Facebook or Twitter. However there is no such way to get anyone at GMB to take a look at the reports from users on businesses which are not theirs. For instance, if company A’s competitor is a huge spammer and is somehow ranking everywhere on Google, company A can’t get in touch with Google My Business and report on it. They won’t let him report against his competitor even though the latter might be violating all guidelines. The only place to report such stuff is Google My Business Forum. Therefore the suggestion for Google is to allow business owners to freely submit spam reports to other places as well. They should be left to prove that the review is not legitimate. When a user or a company argues that a review is fake and that the specific profile has got a habit of spamming even previously, it is still impossible to remove the review unless there is some hard proof. It is impossible to prove someone’s identity online and this gets to a word against others. Google unfortunately usually takes the side of customers. It is not tough to watch such spam patterns as people who gave a 1-star review to him also gave his company a 5-star review. However, Google doesn’t remove such fake reviews. Recently it was seen that there was a website which was developed with the goal of highlighting and tracking businesses which have got fake reviews. The reviewer profiles seemed to hire a locksmith, a plumber, got his mobile phone fixed and also got his dog trained. But these can’t be detected by algorithms but actually it should be something that could be detected by algorithms. The spammy listings should be automatically suspended. Yelp has got this feature and this is one of those things which assist a customer in making a more informed decision. Yelp adds a label to those businesses which have been caught in buying reviews. Apart from that, Yelp also adds a label to a business which is being attacked due to the attention of the media. If you remember the dentist which killed a lion in 2015, you would remember how that man’s Yelp and Google are still being attacked with adverse reviews. It would be really great if Google took some serious actions against such increasing fake reviews. More and more media outlets should get on board and alert consumers about such problems so that they don’t hire companies which keep designing such fake reviews.